A press release went out yesterday from Hewitt Associates, a provider of human resources outsourcing and consulting services,” resulting in countless media stories. That in itself isn’t news, of course, but what’s really at work might be. Almost one-tenth (9 percent) of companies require or plan to require health plans to have pay-for-performance programs in place by the end of the year, and another 56 percent are considering it at a future date. While these claims will concern any consumer who believes that they and their healthcare provider are better able to decide what’s best for them than an employer, there are indications we should be especially skeptical of this survey and stories like it. As should other employers. 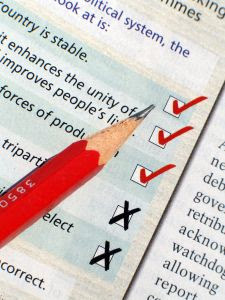 We’ve looked at how opinion polls and surveys are one of the most common tactics used by public relations firms and advertisers to create the bandwagon effect — to sell an idea, shape opinions and create a demand for something by trying to convince us of its popularity. “Everyone else is doing it....” It works with kids and it works with businesses in persuading them they should get on board, too. But it is marketing. There’s big money to be had in the fast-growing business of wellness, including employer wellness programs — $50 billion a year so far is being made taking advantage of American’s obsession with looking and feeling younger, according to the New York Times. And this figure was only looking at a small aspect, that of alternative modalities, underestimating the full potential of wellness and management programs. They're selling, too, because most consumers have come to believe that good health and longevity are the rewards for good behavior. 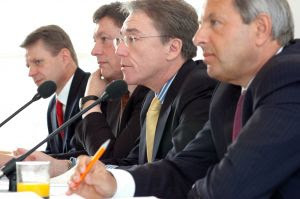 Insurers are first in line offering wellness and healthy lifestyle programs as part of the health benefit packages sold to employer groups, and one of the biggest lobbying organizations promoting them to employers is the National Business Group on Health (NBGH) and its Institute on the Costs and Health Effects of Obesity. It was launched in 2003 to, as we’ve learned, convince employers by intense marketing that these interventions mean healthier, more productive employees and, most importantly, will lower healthcare costs for their companies. “Research has shown that the overall impact of obesity on health and costs outweighs even that of smoking," she said. “As a result, no company in America can afford to ignore the problem of obese and overweight employees." Which brings us to an important piece of the puzzle. 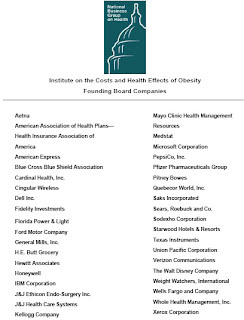 Hewitt Associates was listed as one of the Founding Board Companies of NBGH’s Institute on the Costs and Health Effects of Obesity [page 1 of its 2004 document is pictured] and continues to be an active member of the NBGH, along with nearly 300 large employers and special interests. So, this survey of large employers could be translated to mean it mostly surveyed its own membership, as it appears to reflect NBGH’s larger objectives. This enthusiasm also generated interest in a number of other initiatives driven by data and health IT. While almost three-quarters (72 percent) of companies do not anticipate investing time or resources in implementing health IT programs this year, most plan to consider adopting programs such as computerized order entry and computerized clinical decision support tools in the future. In addition, 43 percent believe health plans should provide employees and dependents with portable electronic health records as part of their standard services. Remember, when we hear in the news “survey says....” it’s usually a commercial.